You are here: Home / giveaway / Twitter Party / Save the Date: Nestle #IceCreamFloat Twitter Party – 6/25, 12PM EST – $500 in Prizes! RSVP Now! Save the Date: Nestle #IceCreamFloat Twitter Party – 6/25, 12PM EST – $500 in Prizes! RSVP Now! 4th of July and summer fun is just around the corner. 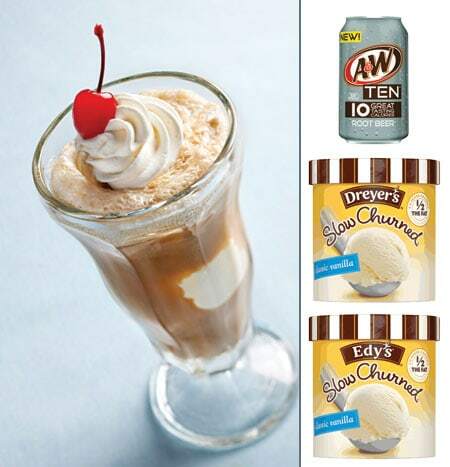 If you’re looking for a tasty way to beat the heat, while still be conscious of calories, then you’ll want to learn about the lower calorie you can make with Edy’s/Dreyer’s Slow Churned Vanilla ice cream and A&W Rootbeer 10. With 1/2 the calories of regular ice cream, you can use Edy’s/Dreyer’s Slow Churned Vanilla ice cream to make a delicious root beer float along with A&W Rootbeer 10 – fewer calories, same great flavor. If you love ice cream, root beer, and root beer floats (or just want to party with us for a chance to win a $100 Walmart GC), I hope you’ll join us on June 25, 2013 for the Nestle #IceCreamFloat Twitter party, where we’ll be talking about the upcoming 4th of July holiday and how you can make tasty floats with fewer calories to help you cool off during the summer. In addition, we’ll be giving away five $100 Walmart Gift Cards! Make sure you RSVP below and tweet with us at the party using #IceCreamFloat for your chance to win! Join in the #IceCreamFloat party for fun conversation and chance to win great prizes! Follow along and join in by following #IceCreamFloat on your Twitter feed or create your own custom view with TweetDeck and our Party Host Twitter List! 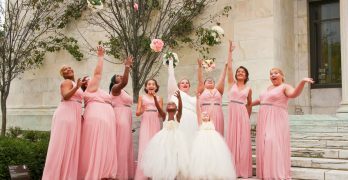 Find help and tips to set up a custom view of our #IceCreamFloat party via this link: http://cbi.as/5oac-. Enter by RSVPing for the Twitter party on the link above, be actively participating in the party and are using the hashtag #IceCreamFloat. To be eligible, entries must be received by 12:55 p.m. EST except that mail in entries must be mailed separately and postmarked by June 21, 2013. To enter without purchase, hand write your name, completed address, age and telephone number on a 3”x5” card and mail it to Collective Bias, 205 S. Main Street, Ste. 1, Bentonville, AR 72712. Prizes will be limited to five (5) $100 gift cards will be given away throughout the 1 hour duration of the party on June 25, 2013. All winners will be chosen using random.org from the RSVP link and winners must be present and participating in the party using the hashtag #IceCreamFloat at the time that they are drawn as a winner. Odds of winning depend on the number of eligible entries received. Winner will be notified via Twitter @ message by @turningclockbac during the party on June 25, 2013 and must respond to @turningclockbac within 5 minutes of being selected to claim their prize. All entries will be eligible for any unclaimed prizes after the close of the Twitter party via random drawing held on July 9, 2013 .
ohhh man A&W and Edy’s, such a great pair! This sounds like a lot of fun, but I do not know how to do twitter parties. I see that a lot of bloggers have them, but they seem confusing to me. I would love to win $100 Walmart cards. Low calorie floats! Brilliant idea. it’s going to be a delicious party! love that hashtag. RSVP @trrg12 Sounds like a lot of fun! Thanks for joining us everyone! It was a fun party!